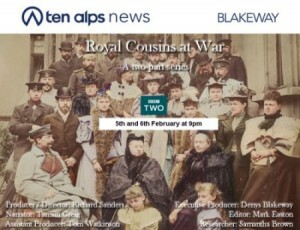 BBC2’s “Royal Cousins At War”, a 1st WW programme that’s Actually Worth Seeing. This you’ll have noticed is the centenary of what was the Great and then became the 1st. World War. So by about, oh some time around next week, you’re going to be thoroughly fed up with yet another programme marking the anniversary. On the plus side, unlike WWII, no-one’s going to be dressing up their jingoism by pretending that it was a black and white battle between good and evil, and not just A N Other example of good old fashioned, imperialistic Empire-building. 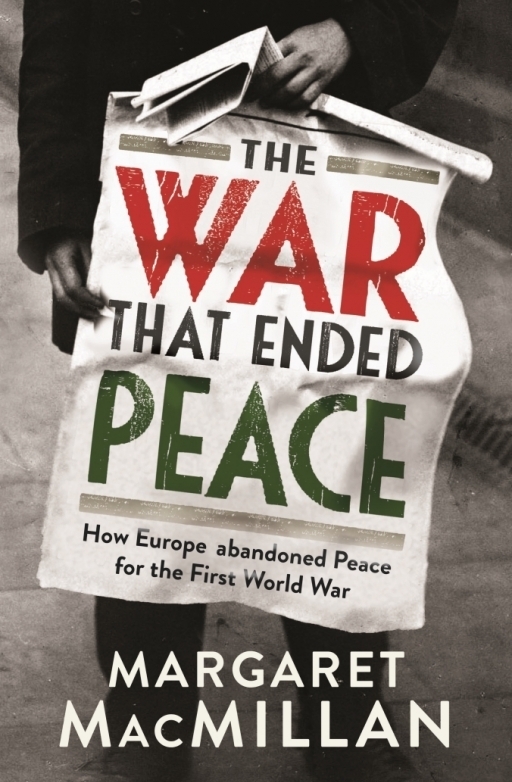 Very unusually, this was one of the very few wars that nobody involved was keen to pursue. What this programme did so fascinatingly, was to take one element and to show how disastrously its accidents played out. 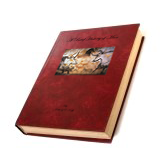 Most people will be vaguely aware of the story’s outlines, without probably knowing very many of its details. Essentially, it centres around the three cousins who would grow up to become Wilhelm II, the last Emperor of Germany, Tsar Nicholas II of Russia, and George V of England. As well as untangling the complex web of intermarriages that the various European royal houses were constructed with, and the way that these provided the currents that powered the different allegiances and tensions that shaped the continent, Royal Cousins at War presented a number of monumental What Ifs. What if Wilhelm II hadn’t had a breech birth, which left him with a withered left arm? And he hadn’t therefore been shunned by his guilt-consumed mother, but had grown up as part of a loving family, before developing into a confident, care-free and considerate monarch? Instead of rebelling against his liberal parents to become an insecure, socially awkward, reactionary bully? Or what if his grandfather, Wilhelm I had lived to be 80 instead of 90? And his father Friedrich III, had lived for ten years longer after he succeeded him? Friedrich and his liberal wife would have had 20 years to steer the nascent Germany towards the kind of constitutional monarchy that they so admired in England. Margaret MacMillan’s The War That Ended Peace. Indeed, his wife, Princess Victoria had been sent to Germany by her mother Queen Victoria, for precisely that end. And Queen Victoria herself was three parts German, and her adored husband entirely so. England would then have cemented its ties to its natural ally Germany, and how different the history of the 20th century might have become. But he ruled alas for barely three months. This last What If was voiced by Margaret MacMillan, one of the many impeccable historians who contributed to this wonderfully engaging programme. Her book The War That Ended Peace was universally praised throughout 2013 as a definitive examination of the war, and sits on my Kindle undisturbed, quietly mocking me. Get that book, and if at all you can, watch this two part programme. Sign up for a subscription right or below and I shall keep you posted every week on All the Very Best and Worst in Film, Television and Music! day by reading thes good articles. discussed for years. Excellent stuff, just wonderful! be acquainted with then you can write if not it is difficult to write. made me individually imagine it from a lot of varied angles. gaga! Your personal stuffs great. At all times handle it up! using? Can I am getting your associate link on your host? while that isn’t the same outdated rehashed material. Fantastic read!